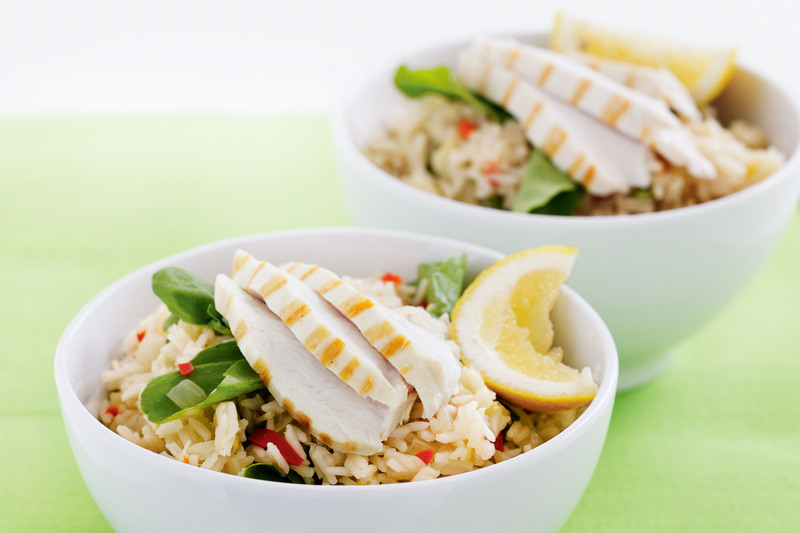 Pilaf is a nutritious winter main, especially when it’s topped with protein-rich chicken. With zingy citrus and chilli, this hearty meal is guaranteed to give you a lift. Heat the stock in a saucepan over medium-high heat. Place a heavy-based saucepan, with a tight-fitting lid, over medium heat. Spray with olive oil spray. Add the onion and fennel and cook, stirring, for 5 minutes or until the onion is soft. Add the garlic and chilli and cook, stirring, for 1 minute. Add the rice to the onion mixture and stir to coat. Add the hot stock and water. Bring to the boil. Reduce heat to low. Cover and simmer for 10 minutes. Remove from heat. Remove the lid and cover the pan with a tea towel. Replace the lid. Set aside, covered, for 5 minutes. Meanwhile, heat a large chargrill on medium-high. Spray with olive oil spray. Add the chicken to the grill and cook for 3-4 minutes each side or until just cooked through. Set aside to cool slightly. Thinly slice across the grain. Use a fork to separate the grains of the rice. Stir in the lemon rind and lemon juice. Season with pepper. Divide among serving dishes. Top with the rocket and chicken. Serve with lemon wedges.